We previously reported that OnePlus could launch the new OnePlus 7 flagship phones globally by next month. Though the launch date is rumoured to be May 14, but there is no official confirmation to the same. 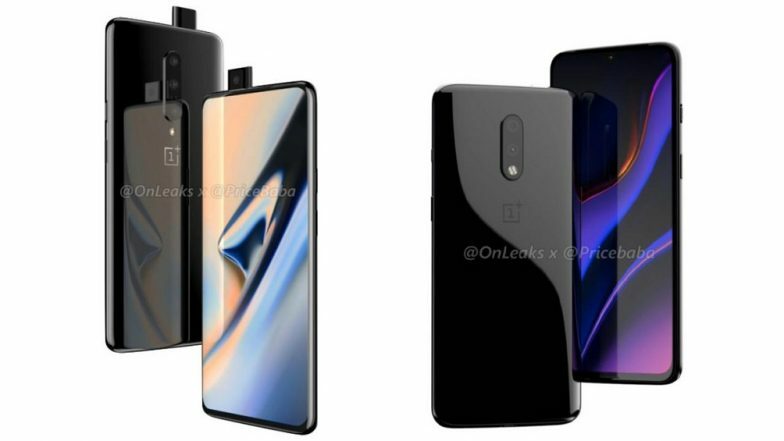 Courtesy of the renders, we already know that OnePlus 7 will be retaining a waterdrop notched display whereas the OnePlus 7 Pro will be carrying a display without a notch. As per the recent CAD images, the main difference between the two variants will be the front camera module. Additionally, the specifications of the flagship devices has been leaked ahead of the launch. Apple Led Global Premium Smartphone Segment in 2018; OnePlus in Top Five. Going by the leaked specifications, the OnePlus 7 is expected to sport a 6.4-inch AMOLED flat screen with a waterdrop-style notched display. On the other hand, the OnePlus 7 Pro is expected to feature a 6.64-inch Super optic AMOLED edged display. While the OnePlus 7 is also rumoured to feature dual rear camera setup with a 48MP primary sensor, the Pro version of the new flagship device will feature a pop-up selfie camera, triple cameras at the back and more. The phone is expected to pack the latest version of the chipset from Qualcomm, which could be Snapdragon 855. The SoC will be clubbed with up to 8GB of RAM and up to 256GB of internal space. OnePlus 7, OnePlus 7 Pro Launch Date Leaked? Likely To Be Launched Globally on May 14. The Chinese phone maker is speculated to reveal the new OnePlus 7 devices on May 14. Several market reports also hint that the phone maker will also be introducing the 5G version of the phone alongside the OnePlus 7 and OnePlus 7 Pro. Moreover, OnePlus CEO Pete Lau also hinted that launch details of the new flagship phones would be announced on Wednesday. More details about the smartphones are expected to be revealed today, as we believe OnePlus CEO would reveal some information about the new phones.